The BCH Foundation held its quarterly meeting on Monday, July 9, with a full slate of business items. The board welcomed Judi White of Springville as its newest member. White has lived in Springville for more than 25 years, and has been an active member of the BCH Women’s Association and part of their activities. News about the grant projects that will be supported through Foundation funds will be announced throughout the rest of the summer. The major requests that were funded included renovation of the second floor acute care nurses’ station based on proceeds from the Garden Party in May. Other projects involve renovation of the kitchenettes on the west and east wings of the Jennie B., and the purchase of specialized equipment for the Emergency Department. The Bertrand Chaffee Hospital Foundation was selected by Concord Crest Golf Course to be part of its Mission Monday project, with 10% of sales on June 11 (next Monday!) being donated back to our organization. Book your tee time at (716) 592-7636 and help support BCH and other local causes on Mondays throughout the summer! 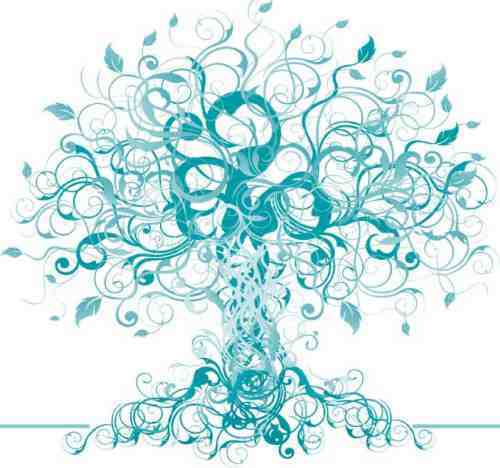 The Bertrand Chaffee Hospital Foundation’s annual Garden Party is planned for Thursday, May 31 at the Springville Country Club. The foundation’s board is pleased to announce that the event will celebrate William King and the Cordelian Club for their many contributions to the hospital and nursing home. King is the BCH Foundation board president and a longtime board volunteer for the hospital and foundation. The Cordelian Club has supported the hospital through fundraising efforts for more than 70 years. The foundation board will direct this year’s proceeds towards the renovation of the second floor nurses’ station. The Garden Party starts at 5 p.m. and concludes by 8 p.m. The Springville Jazz Orchestra and Nick Kody & Lydia Herren will provide the musical entertainment. The Bertrand Chaffee Hospital Foundation’s annual Garden Party is planned for Thursday, May 31 at the Springville Country Club. At its January meeting, the foundation board chose to recognize William King and the Cordelian Club for their many contributions to Bertrand Chaffee Hospital and the Jennie B. Richmond Nursing Home. William King is the current president of the foundation board, and has been a vocal advocate for the hospital as a board member and foundation board member for decades. 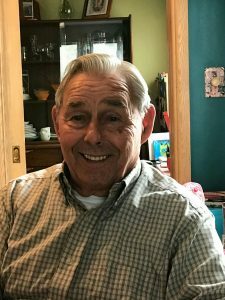 He spent his career as an electrician contractor throughout Western New York and was the long-time supervisor for the Town of Ashford. The Cordelian Club – as the first group to be acknowledged with this event – dates back to 1937. Its fundraising efforts, primarily done through their annual dance, have contributed to countless expansion projects, equipment purchases and building improvements over the past seven decades. Proceeds from this event will be put toward the renovation of the second floor nurses station, covering the acute care services. The Garden Party starts at 5 p.m. and concludes by 8 p.m. The Springville Jazz Orchestra and Nick Kody & Lydia Herren will provide the musical entertainment. Tickets are $50/person or $80/couple available from the Bertrand Chaffee Hospital front desk or by contacting Kara Kane at kkane@bch-jbr.org or (716) 592-2871 ext. 1485. Sponsorship opportunities are also available. Daniel Gallaway of the Sons of AMVETS Post 219 in Boston presented a donation to representatives from the Bertrand Chaffee Hospital Foundation on December 19. This gift will be put toward facility equipment needs in the new year. We thank the squadron for its continued generosity. 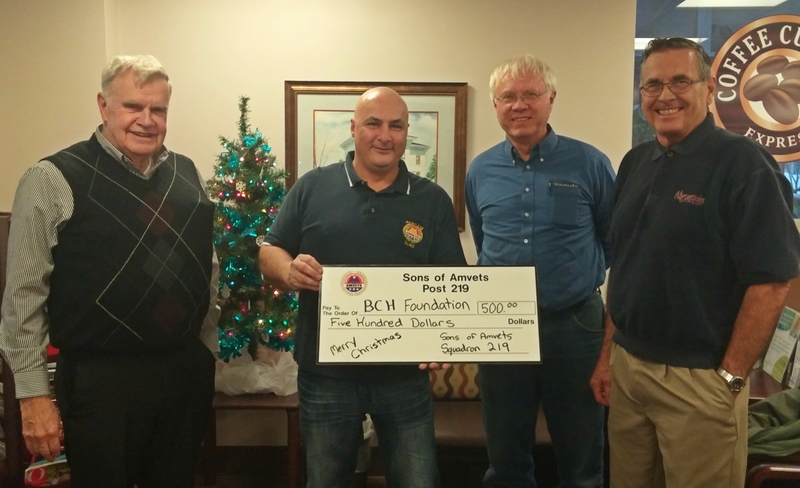 This gift is representative of the support that our hospital and nursing home receive from dedicated and thoughtful individuals who drive local civic organizations like Sons of AMVETS . From left: BCH Foundation Board Member Grover Riefler, Daniel Gallaway, BCH Foundation Board Secretary David Batterson, Sr., BCH Foundation Board Member Joel Maul. Black Friday, Small Business Saturday and Cyber Monday have led up to this: #givingtuesday. 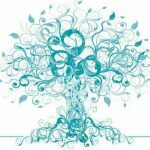 Please consider giving a gift in support of Bertrand Chaffee Hospital and the Jennie B. Richmond Nursing Home through the Bertrand Chaffee Hospital Foundation. 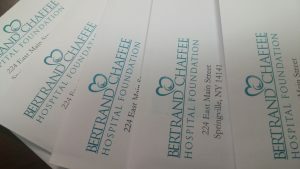 The annual appeal for the Bertrand Chaffee Hospital Foundation has begun! Letters will be sent out over the next two weeks. Our appeal this year is asking donors to reflect on the question, what does Bertrand Chaffee Hospital mean to you? Your gift to our foundation funds equipment for the hospital and nursing home that helps your neighbors. Help us keep patients on their roads to recovery with a donation to our appeal before the end of the year.